This news won’t go away, but I reckon that it will die down a bit. Probably we can expect that the Federal Government will deny Manning hormone treatment, and it will go to court, and then the Feds will likely lose, after spending $100,000 or more in Federal money to fight shelling out all of $50/month for estradiol and spironolactone. The really depressing thing about this news are the comments below the article. Le sigh. 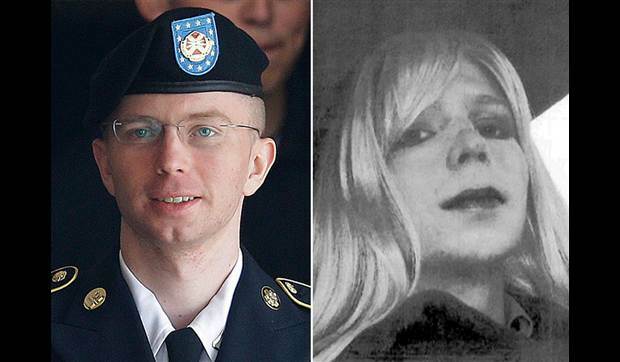 Bradley Manning adopts new gender, name: now Chelsea Manning – CNN.com. This entry was posted in Legal, Military, Politics, Testamonial and tagged bradley manning, chelsea manning on August 22, 2013 by .